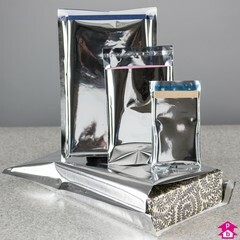 These metallic C6 silver mailing bags have a foil seal at the sides. The measurements that we provide give the internal size of the bag so that you can judge whether your items will fit inside the bag comfortably. 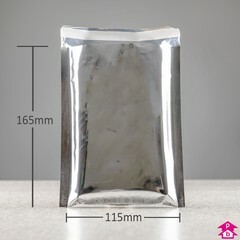 Please note the external width of the bag is approximately 20mm wider.